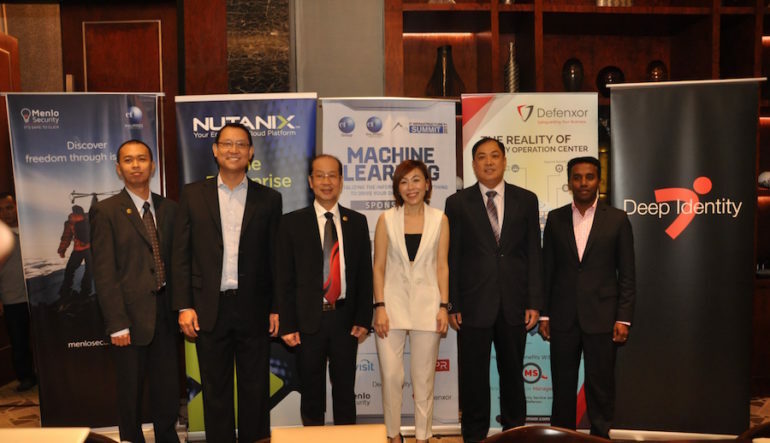 Computrade Technology Philippines Inc. (CTP) recently hosted a technology summit last March 17 at the Makati Residences Hotel. The summit showcased the latest trends and innovations on Digital Transformation and Machine Learning, which is also the venue to support their local partners and customers who are plunging into transforming their business to digital. Digital Transformation, also known as DX refers to the adoption of technologies that businesses undertake from utilizing legacy equipment and traditional business approach to a technology-enabled, agile, digitized and innovative business model. According to research firm Gartner, the 4 pillars of Digital Transformation are Big Data Analytics, Social Media, Cloud Technologies, and Mobility Solutions. These are the same backbone that make Machine Learning possible. Machine Learning is a part of Artificial Intelligence science which enables systems to learn data without being specifically programmed and make its own decisions. DX and Machine Learning can improve customer experience and lead to better operational efficiency and create new revenue streams. Non-stop increasing accumulation of data that needs to be harnessed and used with an innovation. The International Data Corporation (IDC) Philippines projects that by 2020, 25% of the country’s top 1,000 companies will see majority of their business depend on their ability to create digitally enhanced products, services and experiences. Machine learning, which can contribute in providing valuable business insights through data analysis is also expected to push more digital businesses towards the Internet of Things (IoT). For more information or if you need any services from Computrade Technology Philippines, visit their website at www.computradetech.com.